Are you ready to get behind the wheel of a Mercedes-Benz luxury sedan, coupe, or SUV but suspect you will need automotive financing? 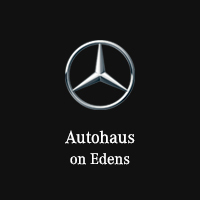 At Autohaus on Edens in Northbrook, IL, our finance team is knowledgeable and dedicated to getting you into the Mercedes-Benz model of your dreams. Apply for car financing from the comfort of your own home by filling out our financing form below. If you have any questions, please do not hesitate to give our team a call.